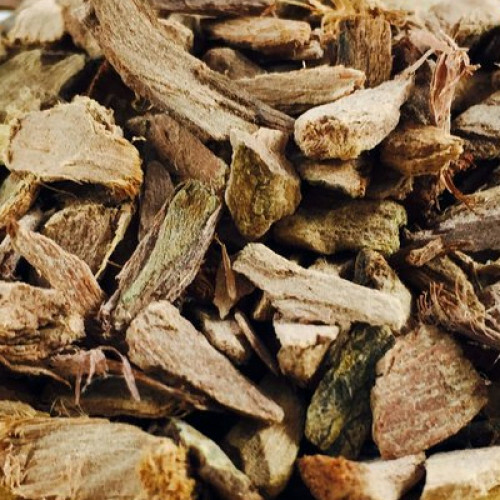 Arjuna or Terminalia Arjuna is a unique herb that helps maintain a healthy heart and reduces the effects of stress and nervousness. Arjuna promotes effective cardiac functioning and regulates blood pressure. Arjuna has been the herb of choice in Ayurveda for cardiovascular health. Arjuna's ability to suppress the blood's absorption of lipids indicates that it has cholesterol-regulating properties. Its principle constituents are sitosterol, ellagic acid and arjunic acid. Arjuna has prostaglandin enhancing and coronary risk modulating properties. Arjuna enhances the elimination of cholesterol by accelerating the turnover of LDL-cholesterol in the liver. Arjuna lowers beta-lipoprotein lipids and the recovery of HDL components in hyperlipidemia. Arjuna promotes effective cardiac functioning by regulating blood pressure and cholesterol. Arjuna possesses diuretic and a general tonic effect in cases of liver cirrhosis. Arjuna reduces the effects of stress and nervousness on the heart. Arjuna relieves hypertension.